Workplace safety is more than just a suggestion for employers. Adhering to safety standards is often required by law because failing to do so can cause avoidable injuries and financial loss for employees. The Bureau of Labor Statistics estimates that more than $300 million is lost in production time, Workers’ Compensation claims and medical expenses every day in the United States due to work-related injuries. Workplace safety laws were put into place to protect at-risk employees, so it’s important for employers to follow them. The most important factor in keeping a workplace safe is allowing for open and honest communication between employees, supervisors, and managers. Employees are usually the first individuals to identify a safety hazard, but they may feel compelled to stay quiet if they fear they will get into trouble for alerting management. Employees may also feel trapped into accepting substandard conditions when their managers don’t value their opinions or concerns. Once open and honest communication is established, safety surveys can help employers gain deeper insights into their employees’ understanding of safety policies and procedures. Surveys can also provide an anonymous space for employees to give important safety suggestions. Finally, it is critical for employers to establish a long-term and ongoing safety training culture. Employers should meet frequently with their employees to discuss potential hazards and solutions, discuss information gathered from safety surveys, and encourage employees to provide their input. The personal injury attorneys at TeamLaw have dedicated their professional careers to helping people who have been injured including those who suffer work-related injuries. 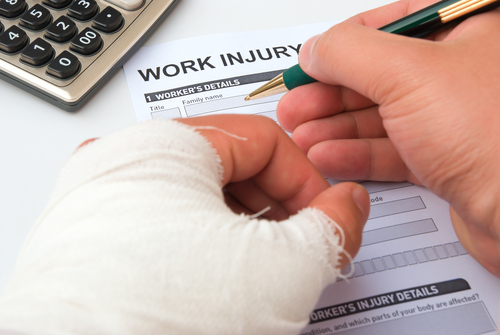 If you are pursuing a Workers’ Compensation claim, then contact our law office today at 1-800-832-6529 to ensure you receive the maximum amount of compensation possible.